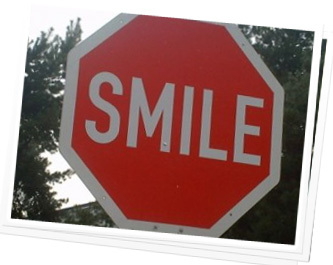 Often we arrive at our final smile makeover destination by way of multiple treatments. Our July "Case of the Month" is a prime example of that. This 34 year old female patient has been a long time client at Sugar Fix. During one of her routine visits with Dr. Emery she expressed concern about the overall esthetics of her smile, which led to a conversation about her treatment options. We feel it's important to present a comprehensive treatment plan that makes the most sense for our patients. It would have been easy to skip right to the esthetic wonders that are porcelain veneers, but it wouldn't have been in the best interest of our patient. We had to look at the big picture and determine what had contributed to her complaints to begin with. Shortcuts are easy, but what's the point if you end up in the wrong place? Upon examination, it became clear that our patient would first need to correct her bite with Invisalign clear orthodontics. Her front teeth were meeting at the edges and causing her to grind them down, resulting in their shortening, which was why she approached us in the first place. After six months of orthodontic treatment we had realigned her teeth and corrected her bite. The next leg of the journey was to evaluate the shade of her teeth and discuss whether or not she wanted to whiten her teeth before fabricating her porcelain veneers. More often than not, patients elect to professionally whiten their teeth prior to investing in the cost of porcelain veneers. She too chose this route. 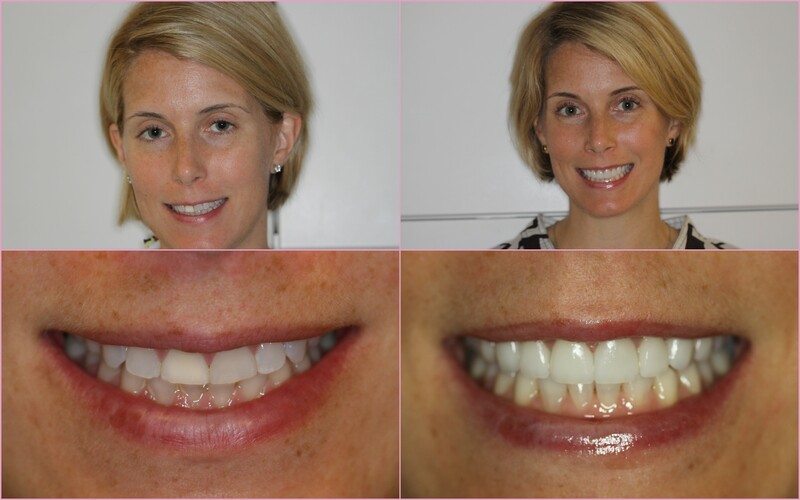 We whitened her teeth with the Kor Whitening system and her results were fantastic. 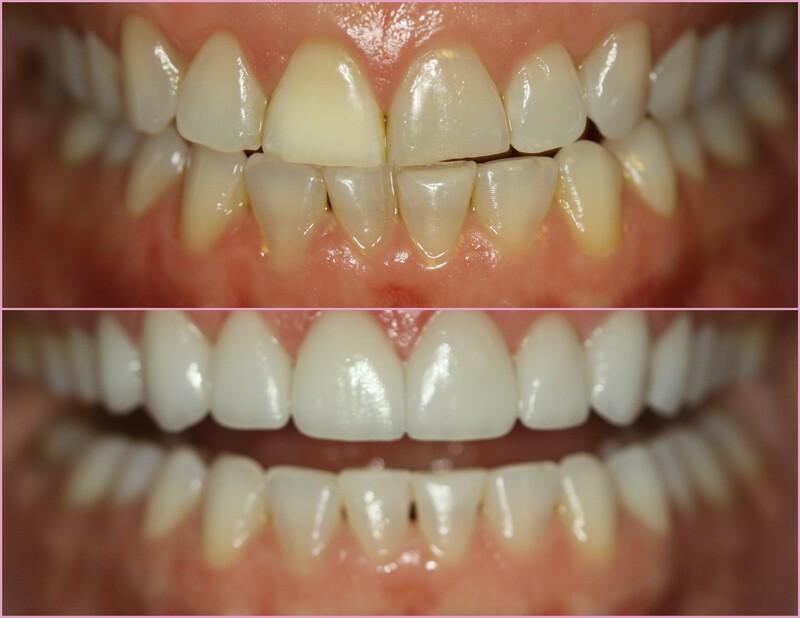 Now that we were working with a perfectly aligned and beautifully whitened smile, we shifted gears and began to focus on the restoration process. Every good smile makeover begins with impressions for a diagnostic wax up, which is a model of what the smile will look like after restoration. This model serves as Dr. Emery's road map for the smile design process and allows our patients to view their case before we proceed. An open dialogue between Dr. Emery, our cosmetic lab technician and the patient is clutch! After everyone agreed on the smile design, we prepared her 8 upper front teeth for empress porcelain veneers to regain the length she had lost due to clenching and grinding on a misaligned bite. She left our office in temporaries that resembled her final restorations and returned two weeks later for the delivery of her veneers. A couple bite adjustments and celebratory photos later, we had ARRIVED! All told, her treatment took about 8 months to complete. Not only is her smile gorgeous; it's functional, comfortable and strong. In this case, I think it's fair to say, "it's the destination, not the journey!"